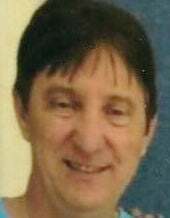 Donald Wayne "Donnie" Thompson, 63, of Loudon, passed away Sunday, April 14, 2019, at his home. He was the son of the late W.R. and Dora (Smallen) Thompson and the youngest of 14 children. Donnie was preceded in death by his parents; grandson, Jacob Austin Watson; sisters, Bernice Anderson and Alma Nix Moore; and brothers, Gene, Bill, Clifford, Mervin and James. R. "Rocky” Thompson. He is survived by his daughter and son-in-law, Mandy and Jamie Watson; grandson, Jonathon Watson; sisters and brothers-in-law, Wanda Eller, Joyce and Gene Colvard and Mary and Johnny Shell; brothers and sisters-in-law, Chic and Peggy Thompson, David and Petey Thompson and Sam and Deb Thompson; and many nieces and nephews. The family will receive friends 5-7 p.m. Wednesday, April 17, at Click Funeral Home in Lenoir City. Funeral services will follow at 7 p.m. with the Rev. Scot Wells officiating. Family and friends will gather at the funeral home by 12:30 p.m. Thursday and proceed to the Davis Cemetery in Loudon for graveside services and interment at 1 p.m.